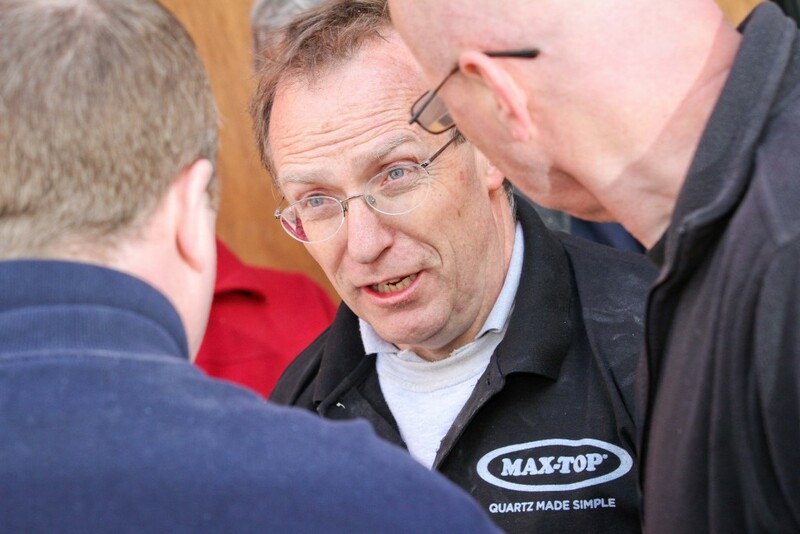 Here at Maxtop, we’re delighted to announce a new location for our exclusive training course, designed to practically demonstrate the preparation and installation of our unique Maxtop Quartz surface. We will now provide quarterly training courses in Dublin to run alongside the monthly training courses held in Manchester and Reading. The programmes have been developed for installers of surfaces, as well as people who sell or design surfacing. We launched Maxtop Quartz in Ireland earlier this year with our new partner, the Panelling Centre, and we have already experienced sizable orders coming through. The natural next step in our Irish expansion is to deliver our bespoke training courses in the region to cater for our new business growth. The half day course covers the benefits and structure of the unique surfaces in great detail. Attendees can also watch a live demonstration of the machinery and cutting equipment required for installation. Our Maxtop Quartz surfaces are manufactured with a patented polypropylene interior honeycomb core, which provides enhanced impact resistance, lightweight ergonomics and waterproof qualities. The unique product is available in up to ten different finishes and comes with a 25-year guarantee. Attendees leave the course with profitable installation skills and comprehensive product knowledge, both of which are vital for confident selling. Each delegate can also purchase a discounted installation kit and obtain a free sample display box which includes a full set of the ten finishes available as well as a cross-sectioned block of surface, which showcases its unique interior. Other marketing aids, which are regularly being updated, may also be handed out after the demonstration. We urge anybody interested in registering for our upcoming Manchester, Reading or Dublin courses to email [email protected]. Dublin – The Dublin training course will run from October onward with the date to be confirmed in the coming weeks. Email [email protected] for more information. Make sure you keep up to date with the latest news, inspiration and tips from Maxtop by following us on Twitter and liking our Facebook page.